Family owned and operated by Shaun Headington for over 18 years, RLM provides personal service and high quality products. I understand the benefits to your business with quality display lighting and have an extensive range of lamps and fittings to suit all requirements for different type of customers. 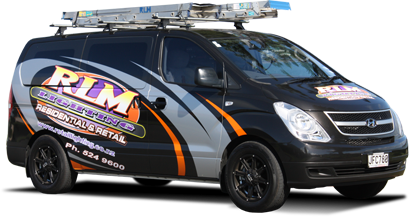 I'm mobile and provide end-to-end service including product advice, supply, installation, maintenance and replacement. My qualified and certified electricians are safety and quality focused and my commercial lamps and fittings are guaranteed. I have been in the lighting industry 20 years now, lamp replacement has been an integral part of the day to day running of my business. I have designed everything from new homes to new additions, whatever needs lighting I have done or can do it. Over the years I have done alot of work for people who are on a budget, this is where a lighting upgrade can be what you're looking for. LED's now come in all shapes and sizes to fit in all of your existing light fixtures, depending on your lighting requirements.